Evening wedding invitations are needed for guests only coming to the evening part of your celebrations, advising them of what time and where to attend. Here at Dotty about Paper, we offer various styles and designs, all of which can be matched to the rest of your wedding stationery. 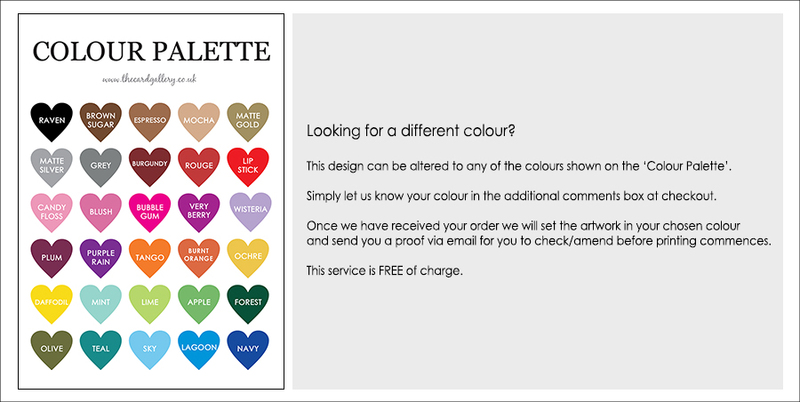 All prices include envelopes and free UK delivery, plus a free email proof of your chosen personalised evening invites. Matching RSVP cards are also available and are usually a great way of speeding up those much needed replies!